Paul Redfern has been a partner since 1990. He handles a broad range of commercial work mostly of a contentious nature. His specialist areas include banking, company, insolvency and landlord & tenant. Recent cases in the Court of Appeal which Paul has handled include Bank of Scotland -v- A Limited & Others (2000), Hayward -v- Norwich Union Insurance Limited (2001) and 28 Pembridge Crescent Limited & Others -v- Silvercrescent Services Limited (2003). 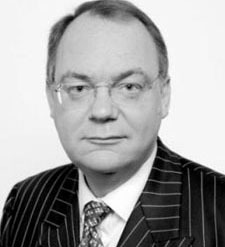 He qualified as a solicitor at the firm, having joined Underwood & Co immediately after leaving Exeter College, Oxford, in 1981 and, apart from time spent at the College of Law, has worked here ever since.